My girlfriend and I are moving to London to live and we are uber excited! Hopefully in a month or two, we should be living in London!!! Did I say we are uber excited?!? Obviously we’re looking forward to the buzz of the city and endless things to do and the awesome nights out! 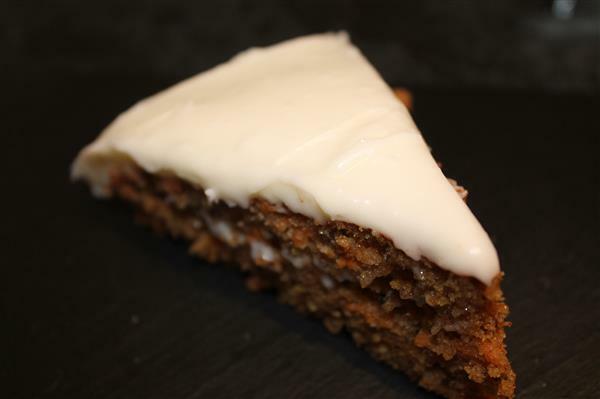 What better way then to celebrate with a cake – Carrot Cake! Beat sugar and oil together. Fold in the grated carrot and walnuts. Beat cream cheese in a bowl till smooth and softened somewhat. Beat in sieved icing sugar.